Tulsi makes a great morning and afternoon drink to replace our caffeine fix, while still providing you with an energy and mental boost. Epics: In the Bhagavat Gita and Mahabharata (ancient Indian holy epics and scriptures), it is described how Tulsi, a goddess and devotee of Lord Vishnu, was ultimately re-incarnated as the plant Tulsi. It is said that in order to express her devotion to her beloved Lord, she took this form as an herb, which would be offered in worship and service to Him. Trade Routes: Tulsi made it into the ancient tea trade routes from the orient; when it reached Europe and they found out about its wonderful healing properties, the Christians started viewing it as the “God of the Herbs” and thought of it as a gift from Christ – that’s where it got its Latin binomial “Occimum Sanctum”. Organic Movement: Cultivation of Tulsi in India was a huge part of India’s organic agricultural movement. Most of India’s agricultural landscape had been ravaged by large-scale conventional farming, with the exception of Tulsi farms, which preserved organic cultivation for the sacred crop. 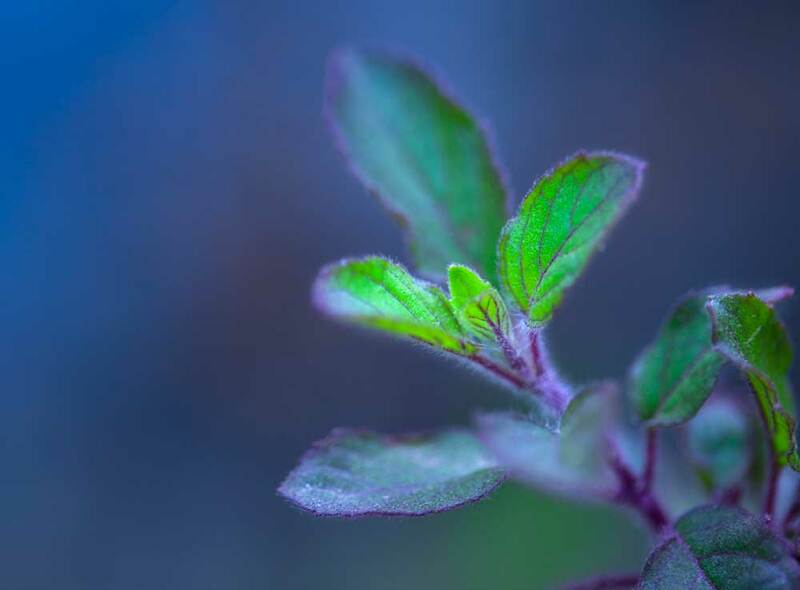 With the popularization of Tulsi for its health benefits, increasing cultivation had a large role in India moving back towards organic agriculture in general. Shanti Tea is one of the very few Canadian suppliers of certified organic Tulsi tea. Disclaimer: Please be aware that the information we are providing on this website is not medical advice. If you have any health issues which relate to this article or any other article or information posted on this website, please consult a qualified health care professional. Be the first to submit a review for: What’s Tulsi, (Holy Basil)?